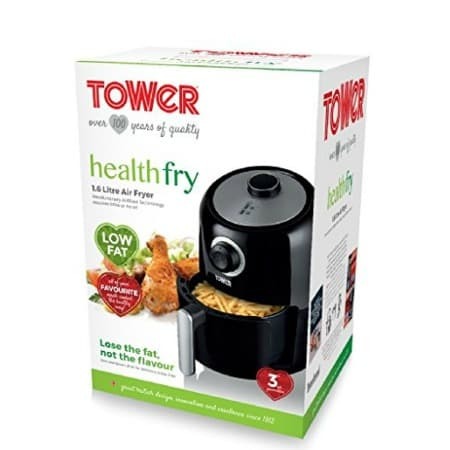 Ideal for creating healthy alternatives to traditional fried favourites. 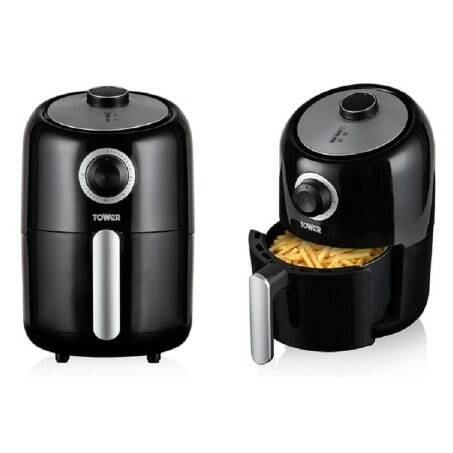 Requiring little to no oil and offering a 1.6 Litre capacity, this 1000 W air fryer is ideal for use in smaller households. The rapid air circulation combined with a powerful 1000 W provides results quickly and efficiently and the adjustable temperature control, ranging from 80-200 degrees helps you easily find and set the right temperature for a variety of dishes. 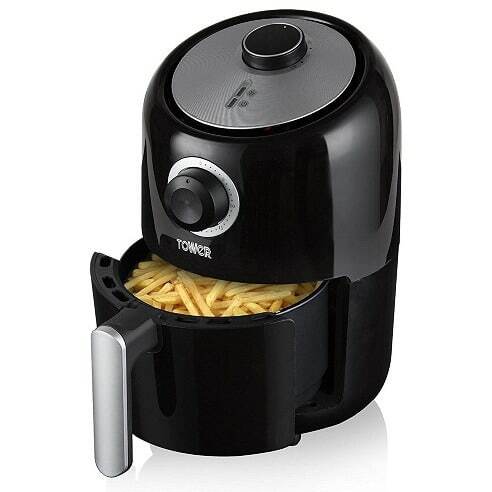 The fryer is complete with a 30-minute manual timer, which offers accuracy when cooking.